The holiday season; a time for joy, a time for happiness. Christmas, Hanukkah, New Years, Kwanzaa; a time of giving and of family. It is a time of wonder and excitement for millions of children across the nation, and across the globe. It is a time when memories are made, and love is shared. Yet, for so many children in the foster care system, it is anything but a time of joy, a time of excitement. Indeed, it is just the opposite. ‘Tis the season? Not for the roughly half a million children in foster care in the United States. It is often a time of great sadness and despair. For these children, it is a reminder of so much anxiety and trauma in their young lives. Many foster children are faced with the realization that they will not be “home for the holidays,” so to speak, with their biological family members. It is a reminder that they are separated from their parents and family. Do you remember waking up as a child on Christmas morning? If you were like me, you couldn’t wait to get your parents up, and dash into the room where your Christmas tree was. Wrapping paper flying, screams of joy and surprise, great food, family surrounding you; it was truly a magical day. For children in foster care, though, it is a very different experience. When they wake up Christmas morning, and are surrounded by people who just may be strangers to them, strangers who are laughing and having fun, it can be a very difficult time for them, indeed. To be sure, it is a day that is a stark reminder to these children that they are not with their own family. It is during the holidays when families are supposed to be together, yet these children in care are not. They are not with their families, and they may not know when they will see them next. More than likely, a foster child will have feelings of sadness and grief, as he is separated from his own family during this time of family celebration. After all, he is separated from his family during a time that is supposed to be centered AROUND family. Quite simply, they want to go home, to live with their family members, despite the abuse and trauma they may have suffered from them, and despite all that you can and do offer and provide for him. Therefore, this time of holiday joy is especially difficult. You can help these children. You can help a child in foster care have a truly Merry Christmas; perhaps their very first Merry Christmas. 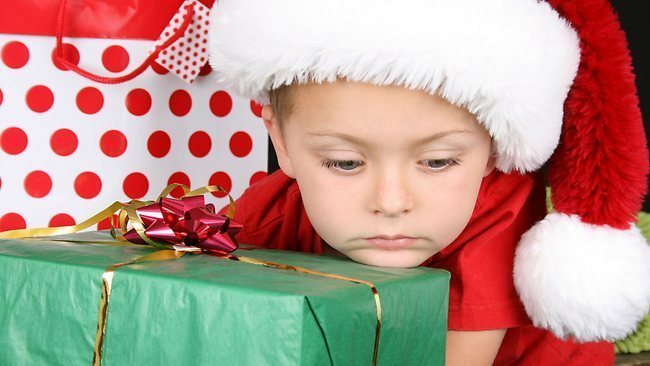 Sadly, far too many children in foster care have never had gifts to open on December 25th. My wife and I try to make it a day that the children both never forget, and one that they are able to escape their pain and suffering and simply revel in being a child. Our “foster grandparents” help us accomplish this. Like our dear friends have done, you, too, can reach out to the foster parents in your community and “adopt” a child during the holiday season, or other times of the year. This might also include helping out school supplies at the beginning of the school year, birthdays, paying for school field trips and summer camps, and other activities that are special to the child. Indeed, many foster parents simply cannot afford to provide all of the opportunities to their foster child; opportunities that help the child escape from their trauma, and opportunities to heal from their suffering. When we all come together to help the child in foster care in such a way, we are all helping to not only bring some holiday cheer to a child in need, we are changing the life of a child. After all, isn’t that what this time of year is all about? Dr. John DeGarmo has been a foster parent for 14 years, now, and he and his wife have had over 50 children come through their home. He is the director of The Foster Care Institute, a consultant to legal firms and foster care agencies, as well as a speaker and trainer on many topics about the foster care system Dr. DeGarmo and his wife were recently named a Good Morning America Ultimate Hero. He is the author of several foster care books, including the The Foster Parenting Manual, and writes for several publications, including Foster Focus magazine. He can be contacted at drjohndegarmo@gmail, through his Facebook page, Dr. John DeGarmo, or at The Foster Care Institute.